More times than you can, probably, count you may have heard a song on the radio, on a commercial, during a movie and found yourself transported to another place and time. Reminded of a moment you’ve experienced, a memory, and then feel everything you felt back then. Music has the ability to move us—our memories and our imaginations. Turn on music that you love. Listen carefully. Start writing. How does the song make you feel? Focus on the feelings—joy, sadness, triumph, love, regret. Write a piece that conveys the same emotion. What do you think about? Some lyrics tell a story; expand on that story and take it further. The song may give you a portrait of a character; fill in the blanks to create your own scene or imagine a reason or environment in which this character would develop these traits. 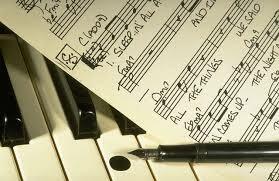 The lyrics may take you back to a time in your past; relive that memory for inspiration and write your own experience. Writers are always encouraged to write what they know. What story would feature this music as the soundtrack? Imagine your story into a movie (we can dream, right?) and this song will be on the soundtrack. Use the song to dream up a movie-worthy plot or envision a new setting or character. Start with the song of your choice, maybe one you have not heard in awhile, or one that always gets you singing and moving. Listen to it start-to-finish, while keeping the questions above in mind. Write whatever the song inspires, whatever you imagine while you listen (you may need to channel Disney on this one!). And let creation take over without judgement and criticism.